Everyone knows iPhone emojis is not easy to get. 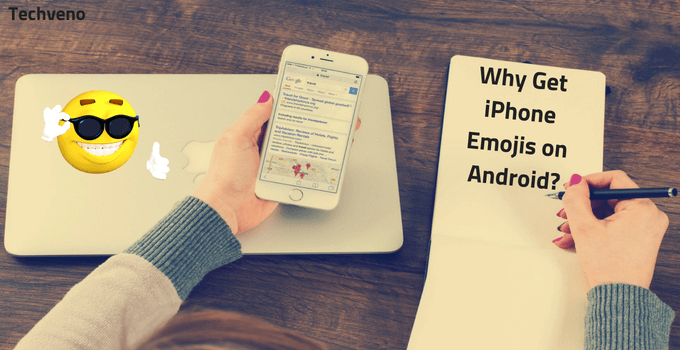 If you are looking for how to get iPhone emojis on Android without root then you are at right place. You can get iOS emojis on android without rooting with these methods that I have mentioned below. Have you ever tried to get iPhone emojis? Am I right. 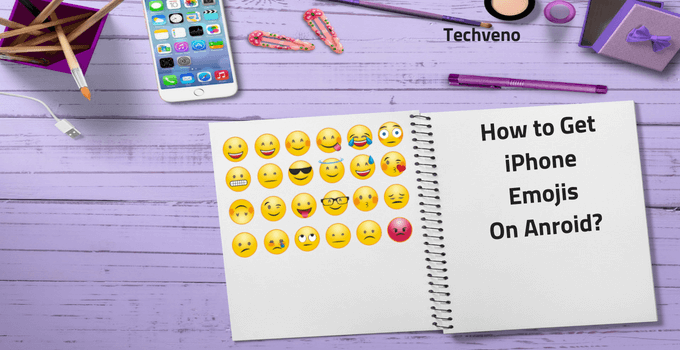 Today I am sharing with you three methods to get iPhone emojis. The iPhone Emojis are very expressive, shining and different compared to android emojis. Recently I have shared, how to recover deleted photos? If you fail many times for getting iPhone Emojis then not worry about these. If your mobile is rooted, so you can access full iOS emojis and if your mobile phone not rooted then you can access only fonts. 1 Why Get iOS Emojis On Android? 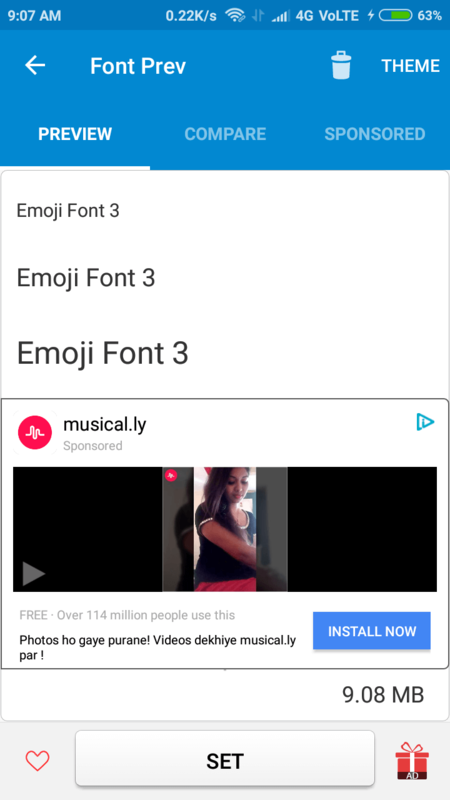 2 How to Get iPhone Emojis on Android? Why Get iOS Emojis On Android? Every user uses a WhatsApp, Facebook, and other messaging apps and people express their emotions with emojis. Everyone doing this and our emotions remained incomplete without emojis. Well, there are many reasons everyone wants to get iPhone emojis on Android without root. Keeping this in mind Shigetaka Kurita invented first Emoji in 1998. After the invention of emojis, it came in all Android and iOS devices. Android emojis not shining and less expressive than the iPhone Emojis. How to Get iPhone Emojis on Android? Here in this guide, I have used some apps to getting Apple Emojis. A lot of apps are available for changing emojis on android without root. But I have shared best apps to get iPhone emojis for android. I have used these apps on my mobile and after that, I have shared with you. So now we go ahead. Which method will you try (rooted or unrooted)? Sorry for my query. which method will you try, this is your choice. Do you want to remove system apps? In this method, the root is not necessary and you have a need for changing fonts. I tell you one thing if your mobile has not fonts changing settings. 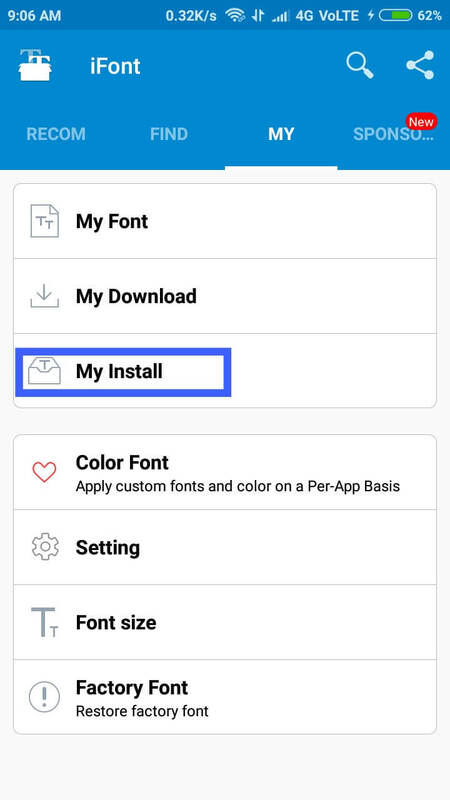 So you need to root your mobile and download a font changing settings. Well do not panic, I think your mobile will have a font changing setting. Read the tips below for your calming. 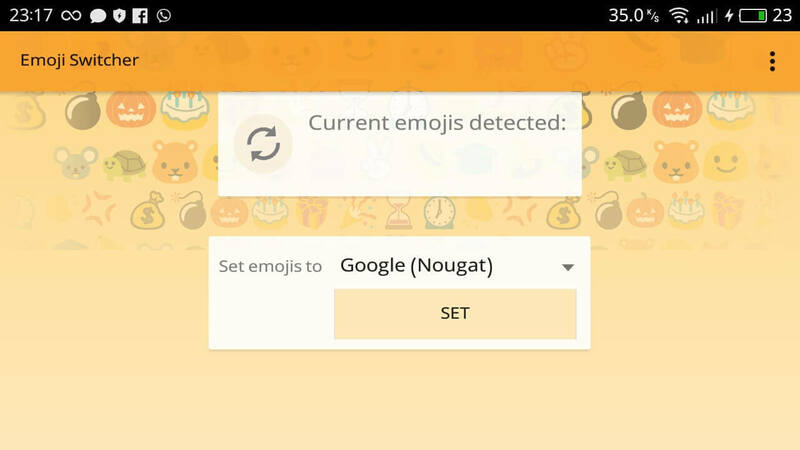 Well, the first method can help you get iPhone emojis on Android without root. 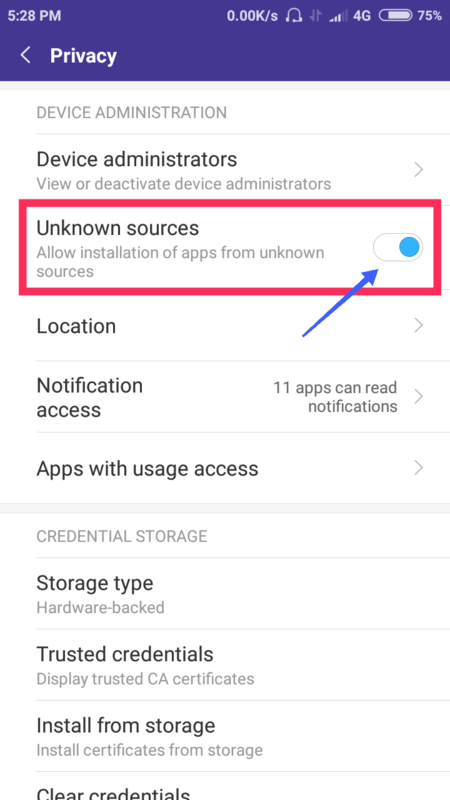 First of all, you have to need to enable unknown sources option if you do not know how to enable unknown sources then don’t worry. First of all, go to your mobile settings and then click on additional settings. After that click on privacy and then you will be seen an option of unknown sources. After that enable it. 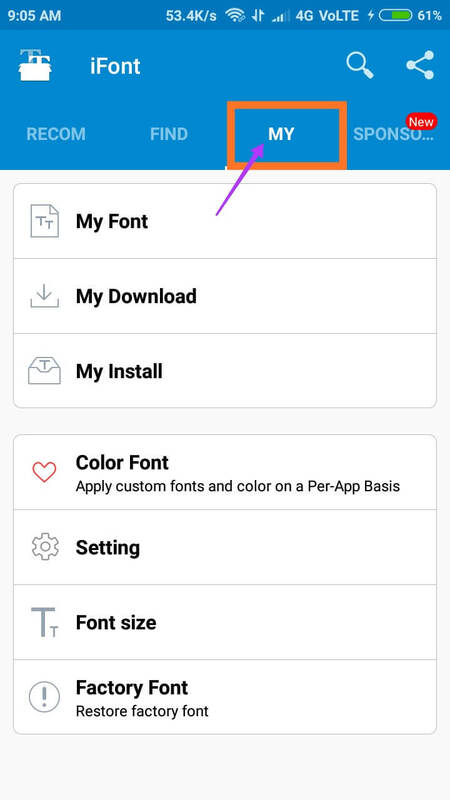 Download and install emojis font 3 apk from given below download link. If you search for it on the Play Store so it will not come Because it is removed from play store due to copyrighted issues. Now you have to need Change Font Style of your android device to Emoji Font 3. Read the lines of this paragraph to change the font style. Go to your mobile settings and then click on display. After that change font style. Note: This is for Samsung users. If you have another mobile then search font style in settings. Now you have to need Google Keyboard. If you have already on your mobile then go ahead. If you have not then downloaded from google play store. Google Keyboard easily access emojis on any android mobile. If you want to access emojis font then done given above work and after that enjoy emojis font. Must Read: How to Get Free Instagram Followers? If you want to get iOS 10 Emojis on your Android mobile. So rooted mobile is necessary. If your device is unrooted and you want to root it then search on google and download any one click root app for your mobile to root in one click without pc. Read a full guide of rooting. Because you must know what are the benefits and losses of rooting. Download and install Emoji switcher (root) app. After the downloading has been done open the app and it will ask you to root access, allow it. Now you will see many options, choose any one of them. I have chosen iOS 10.2. 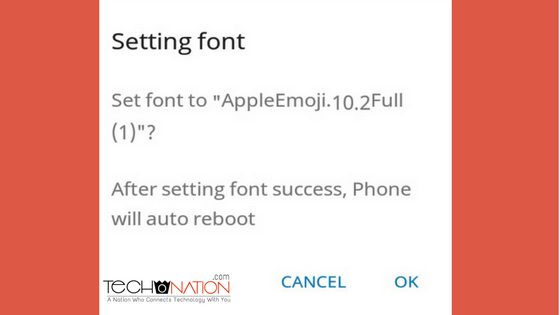 Install the iOS Emojis Font and reboot your mobile. After you have reboot your mobile. You will get iOS Emojis successfully. Some mobiles have not font settings. So this method for those users whose mobile have not font settings. Mainly 90% mobile phones support font changing settings. Follow given steps to changing fonts. Everyone wants to record WhatsApp calls. Download and install emojis font 3 app from given below link. Download iFont (expert of fonts) app. Open iFont app and click on my at top navigation. Follow all steps carefully to get iPhone emojis on Android phones. Now click on my install and then select Emoji Font 3. Click on set and choose a language and after that click on enter. Now it will ask you (set font to “Apple Emojis 10.2 Full?) click on ok.
After that your mobile reboot automatically and after the successful reboot, you can enjoy iOS emojis on android with root. First, you have to need to set Font mode to system mode. Read this paragraph for set font mode to system mode. First of all open iFont app and click on my. After that Click on settings and click on change font mode to system mode. I have provided you screenshots in every step. If the above apps are not working on your mobile then tell me. I will insert a new link. You may also like: How to Create WhatsApp Group Invite Link? 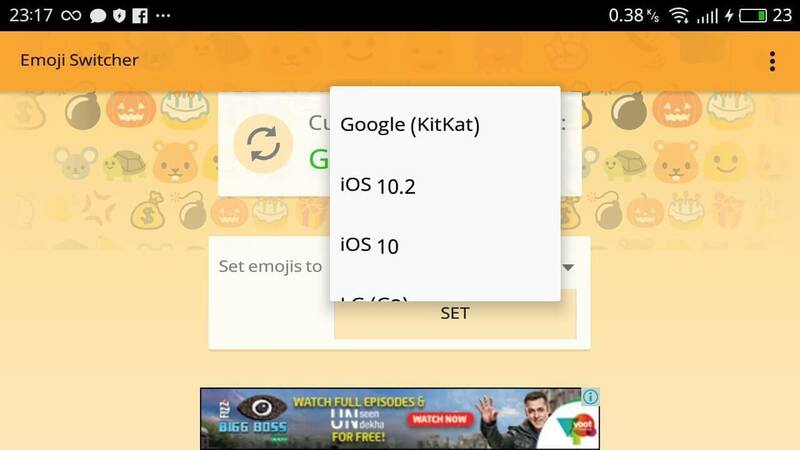 Hope you like this guide on, how to get iPhone Emojis on Android without root. If you have to face any problem in above methods and if any link is not working then leave me a comment in the below comment section. Now remove your boring android emojis and replace new iPhone emojis. If you have successfully get iOS emojis on Android phone then give us a review. Subscribe us to get latest updates. Share this guide with your friends.